Blaine, MN Car and Limo Service. Blaine is one of the cozier cities in the Minneapolis-Saint Paul metropolitan area; located in Anoka County, less than twenty minutes north of Minneapolis and Saint Paul. 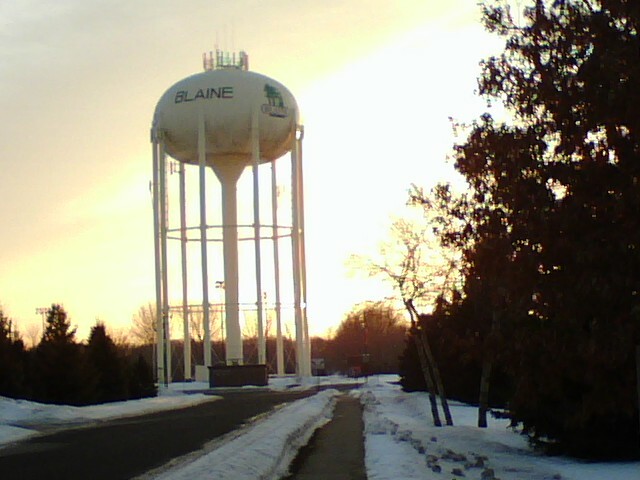 More than just a small town, Blaine is noteworthy for being the home of Globe University & Minnesota School of Business as well as the National Sports Center, which is the World’s Largest Amateur Sports and Meeting Facility and a beacon for soccer, hockey, track and field and many other top tier sporting events. These local attractions in addition to Fogerty Arena, make your trip to this quaint little town in the shadow of the Twin Cities a real treat. Whether you are a business traveler, a tourist or local commuter, your ability to get from point A-to-B, regardless of your point of origin in the Twin City region, is of the upmost importance, so why settle for less than the best mode of transportation? Sure you can take mass transit to get you to that important meeting or rely on a taxi service or other E-Hail car service to take you to the airport, but why subject yourself to the possibility of delays and hold-ups that are common among all modes of public and mass transportation – not to mention the pros and cons associated with hiring a taxi service or using an E-Hail App? That is why you owe it to yourself to call MSP Car Service for your next trip to or from the Twin Cities. Whatever your transportation needs are, rest assured that MSP Car Service is here for you, with reliable transportation to and from the airport, Twin Cities’ attractions and sporting venues that beats all other local taxi and transportation services. More than just a limo service, MSP Car Service offers a variety of luxurious black car options that range from classy sedans to elite sport utility vehicles and multi-passenger vans. Whatever your vehicle preference, we’ve got you covered, so all you need to do is sit back and relax while we take care of the legwork. It has been our privilege to serve the Minneapolis-Saint Paul metro area for the last eight years, during which time we have steadily become the most popular limousine service in Minneapolis! For tourists and business travelers alike, MSP Car Service has a strong reputation of laser-point punctuality and top notch service. Every ride we book is VIP, whether you are a corporate or individual client. Your NEEDS are priority number #1 and we will ensure that you arrive ON TIME, EVERY TIME, Guaranteed. With exceptional punctuality and an attractive fleet of Lincoln Town car, Cadillac and Mercedes sedans, you will quickly learn why the preferred airport limo service in Blaine, MN is MSP Car Service.